Est. 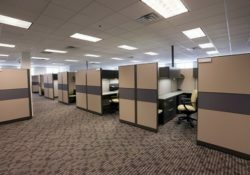 2001, Green Apple Cleaning Maryland provides office cleaning services in Annapolis, Baltimore, Bethesda, Chevy Chase, Ellicott City, Gaithersburg, Rockville, Silver Spring, Towson and surrounding areas. As a business owner, facilities supervisor, property manager or real estate agent, you can count on Green Apple Cleaning to professionally clean throughout your office, warehouse or retail location. Our specialties include cleaning sports training and work out facilities, gyms and activity centers, high rises, apartment buildings, dormitories, government offices, executive suites, cinemas and movie theaters, attractions, amusement centers, car dealers, boat dealers, and showrooms. Every Green Apple cleaning professional follows best practices for cleaning reception areas, cubicles and work spaces, kitchens and break rooms, bathroom areas. Dust, sweep, or mop welcome maps and front door decor. Keep straight and tidy. Empty all trash bins, wipe them down and replace with new liners. Wipe down the reception counter, desks, tables and phones with disinfectant. Straighten magazines and other items to make the area look presentable. Dust tables, chairs, lamps, window shades, vents and other services. Sweep, vacuum, and mop floors. Clean carpets regularly as scheduled. Dust shelves, cabinets and other hard surfaces. Empty trash receptacles, wipe them down and replace liners. Dust computer monitors, keyboards and other computer equipment. Dust HVAC vents, windows, blinds, shades and around window sills. Return and organize kitchenware, (plated, utensils, glassware, mugs, etc.). Vacuum, sweep or mop the floors. Straighten items on the counter top. Empty and wipe trash and recycling bins, replace with new liners. Wash dirty dished left in sink. Wipe down refrigerator shelves with disinfectant. Empty refrigerator of left overs, unlabeled items as scheduled. Vacuum, sweep, or mop floors. Empty and disinfect trash receptacles and dispensers. Disinfect sinks, paper towel holders or hand dryers. Disinfect toilet seats and toilet paper holders. Clean toilet bowls with cleaner and brush. Replenish toilet paper and paper towels as needed. Wipe down mirrors with glass cleaner. Ensure hand dryers work properly. Sweep and mop floors with disinfectant solution. 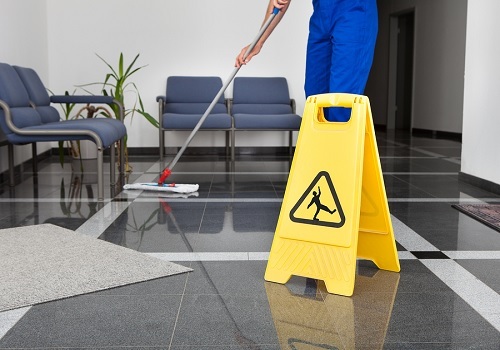 Contact Green Apple Cleaning Maryland to schedule our commercial cleaning services at times that fit your schedule.